Time is of the essence and nobody wants to be stuck on the side of a road or stranded somewhere while waiting for a part. That is why many customers choose CJ Autoparts for a quick, reliable and efficient service. Based in Blessington, Co Wicklow, this company which was established by Jack Kearney in 2010, services the needs of garages and the public in a catchment area that covers Blessington and as far as Naas and Tallaght as they stock a wide range of parts for cars and light commercials. Breakdowns are something that cannot be foreseen, it is essential for the vehicle operator to get up and running again as quickly as possible. For this to happen, they have to be able to get their hands on the necessary parts as quickly as possible and to this end CJ Autoparts deliver every time. 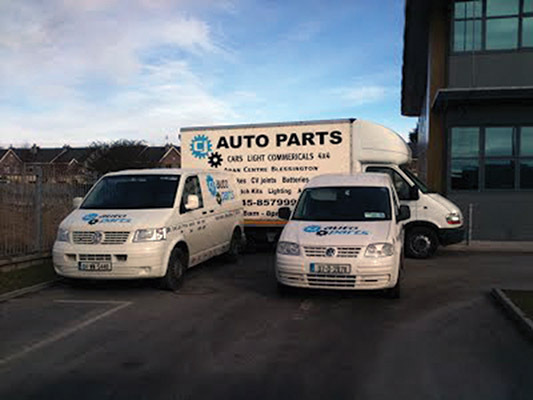 “We source some of our parts from Motor factors in Dublin mainly. Our customer base is expanding all the time and we’re fortunate to have a lot of repeat custom, which we are very grateful for,” said Jack. CJ Autoparts stock a wide range of products which include Oil & Lubricants, Accessories, Wheel Bearings, Tools, Brake Hoses & Cylinders, Head Gaskets, Service Kits, Spark Plugs, Brake Pads/Discs/shoes/Drums, products-cars-resized, Brake Fitting Kits, Clutches, Shocks & Springs, Batteries, Water pumps & Thermostats, Turbos, Window Regulators, All Tractor Parts, Paint. Power Window, Timing Belts, Bearings, Clutches, Springs, Water Pumps, Shocks, Filters, Air Conditioning Recharge Kit, Tyre Repair, Dipetane Fuel Treatment Solution to name just a few. Jack revealed that many of their customers have been with them since he first established the business five years ago, but he knows that he has to maintain a high level of service in order to keep them happy. 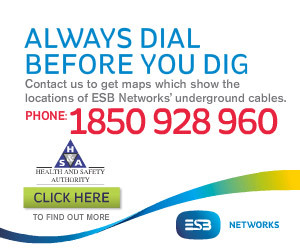 “All our customers know us well and they know that we are there for them five and a half days a week. You have to be there for them or else they will go elsewhere and they would be well in their right to do so. “We will always be looking to add to the portfolio of parts that we have and we tried to stock as much as possible so the customer can get what they want as soon as they ring us or call in. CJ Autoparts have two service vans doing deliveries to customers, which saves them time in having to travel to pick up the parts. Jack admits that getting the business off the ground not only took a major investment, but it took time for the customer base to grow. “There was a motor factors in the town here, but it had closed down a couple of years before I started the business. I saw a gap in the market for one here and decided to go ahead with it. “There were definitely a few years there where things were quiet. People just weren’t spending the money, but the economy is certainly starting to pick up again and there is a lot more faith in the market now.